What do your stars look like? Did you know that consumers will tell an average of 42 people about a good experience and 53 people will tell about a bad one? When we have a negative experience, we often go online and leave the business a bad review explaining our experiences. In contrast, when we have a positive experience, we tend to not go online and leave a review. Today, we are ALWAYS ONLINE. The fact is, according to Planet Marketing, 90% of consumers read online reviews before visiting a business and 88% of consumers trust online reviews as much as personal recommendations. If we are only seeing negative reviews, your chances of gaining that business is slim. Because of this, it’s important to have some type of review incentive program in place. Here are a few questions to ask yourself to determine if you need a review program. Do your negative reviews outshine your positive ones? Do you respond to all reviews? Do you ask your customers to leave you a review? If you answered NO to any of these. You need a review program in place! Use a review monitoring service that helps you gauge all your reviews. Use a listing management program to ensure all your listings are correct. Create a monthly incentive program for your customers. Example: Give all customers a little card that says if they leave you a review in the month of October they will be entered to win $10 store credit. Encourage your customers to leave you a review online – all you have to do is ask! Regardless, if the review is positive or negative you should take the time and respond to all. Even if the review was negative, the way you respond can completely turn your image around. Quality reviews matter. While reviews that just say that you are great are fine; however, it is better to have your customers explain why they had such a positive experience. Not only do reviews help your reputation online, but they can also have a positive impact on your search visibility. Trusted websites will appear in the search results on search engines and your star ratings will give a quick and accurate visualization of the experiences that people have had with a product or service. 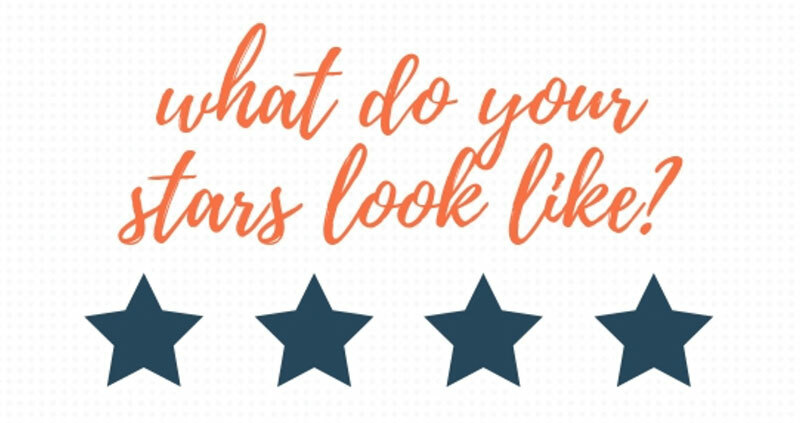 Star ratings help your business stand out against your competition, too. 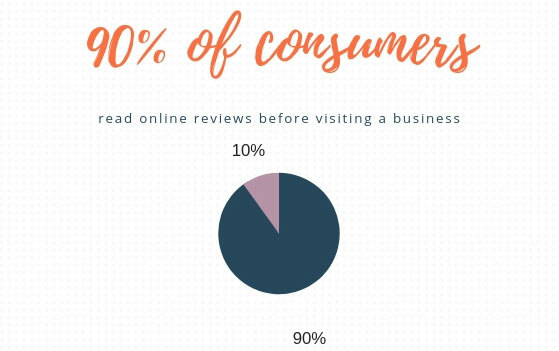 Reviews help local business owners get more visits to their business listings and websites, and they create the stepping stone for your online reputation. Reviews help boost customer loyalty towards your brand. A person who takes the time to leave a good review is more likely to come back to your business in the future.